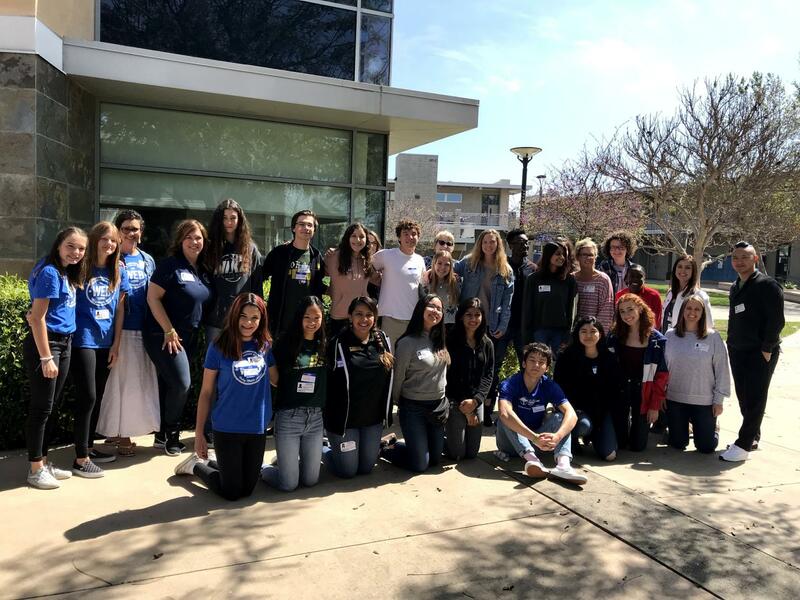 ASB's community outreach commission visits La Jolla Country Day High School for an informational meeting about the Sandy Hook Promise club last Tuesday. The members who went returned to the Sage Creek campus with overflowing ideas about how to further implement the Sandy Hook Promise club to SCHS. 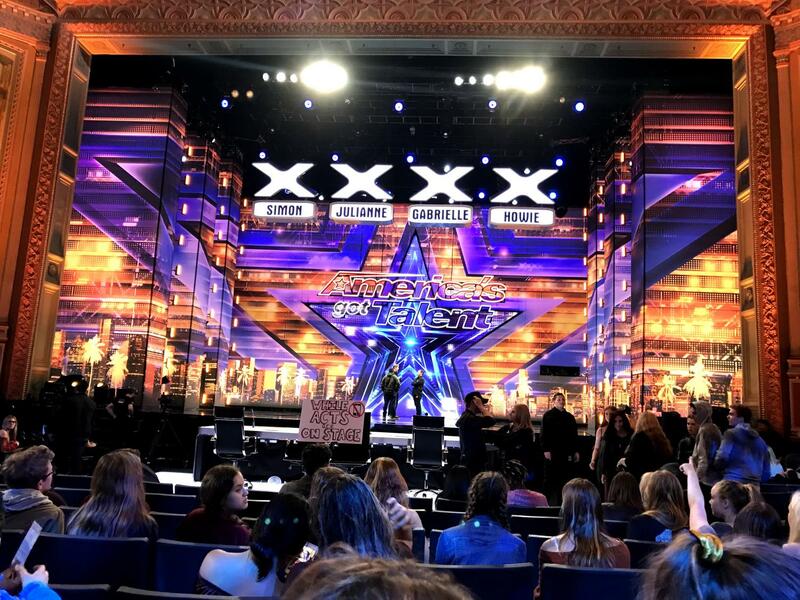 Last week on Wednesday ASB took a field trip to participate in the audience of America’s Got Talent in Pasadena. Students and chaperones held front row seats where they were asked to cheer and boo talent acts and the judges. Art classes in trimester three took a field trip to Balboa Park on Tuesday to take a closer look at art. 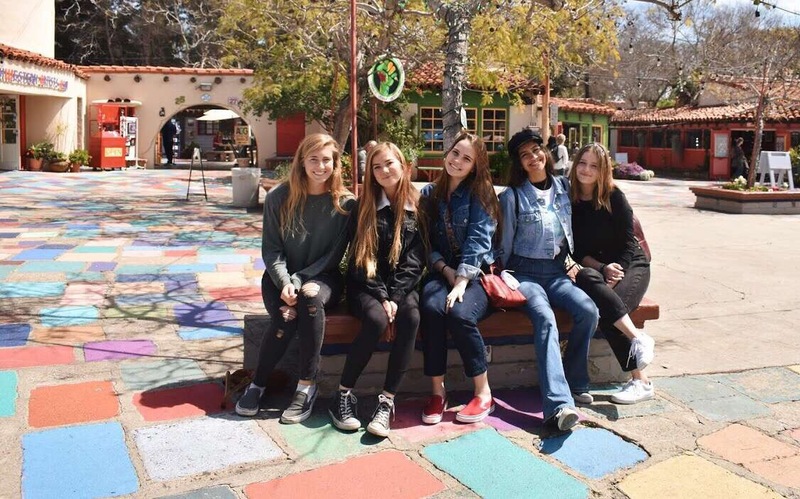 Seniors Ana Kirkpatrick, Grace Elmore, Amber Keller, Sammie Amezcua and Jordyn Zurek were inspired by the beautiful scenery to be more creative with their art. Sophomore David Yoon holds his finish after striping a drive down the middle of the fairway during his home match vs. Vista on Tuesday. 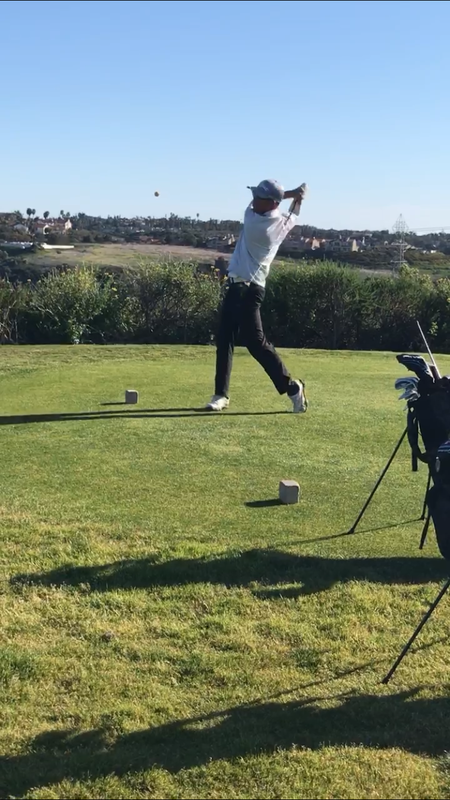 The boys golf team has started off strong and hopes to carry this momentum into CIF finals. 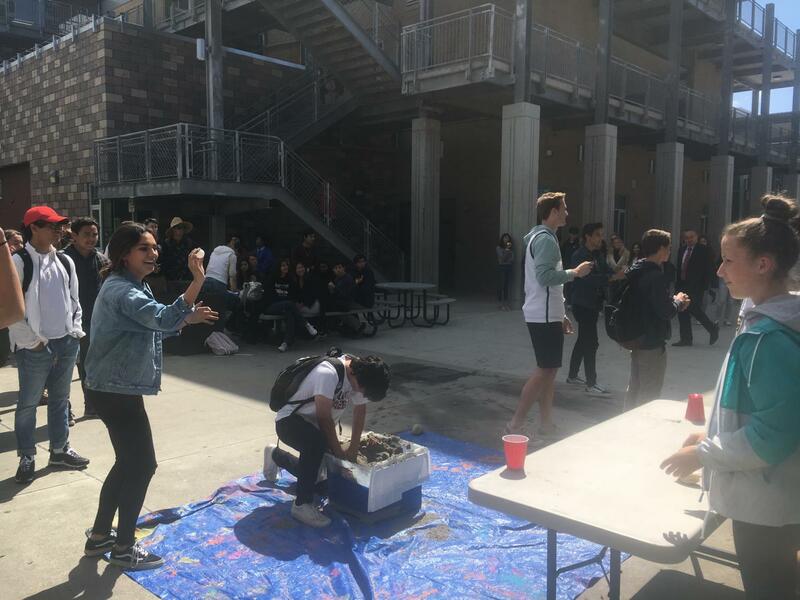 Senior Isabel Sloss competes in an ASB event during lunch. Volunteers from all grade levels competed in ASB’s lunch activity for class cup points. 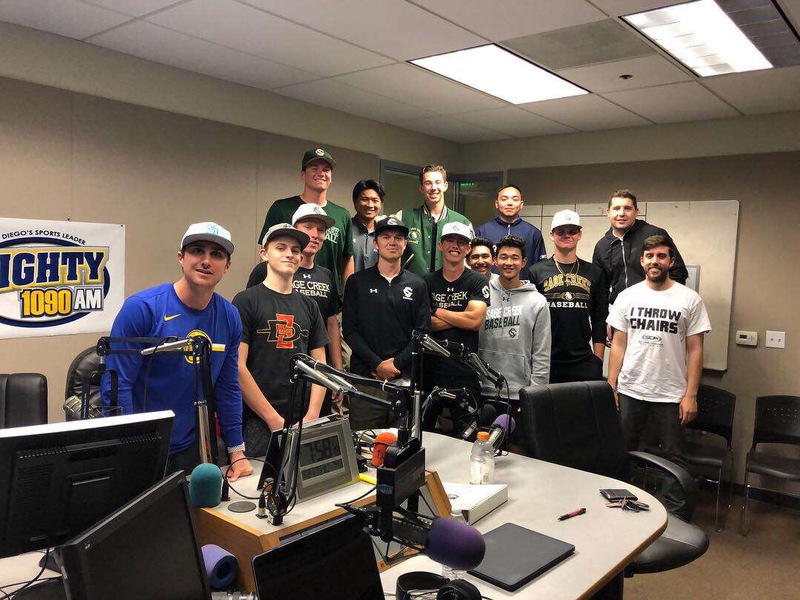 Varsity baseball took a trip to Mighty 1090 radio station to talk about their current season. Senior Garrett Taylor even took this chance to show off his singing voice. 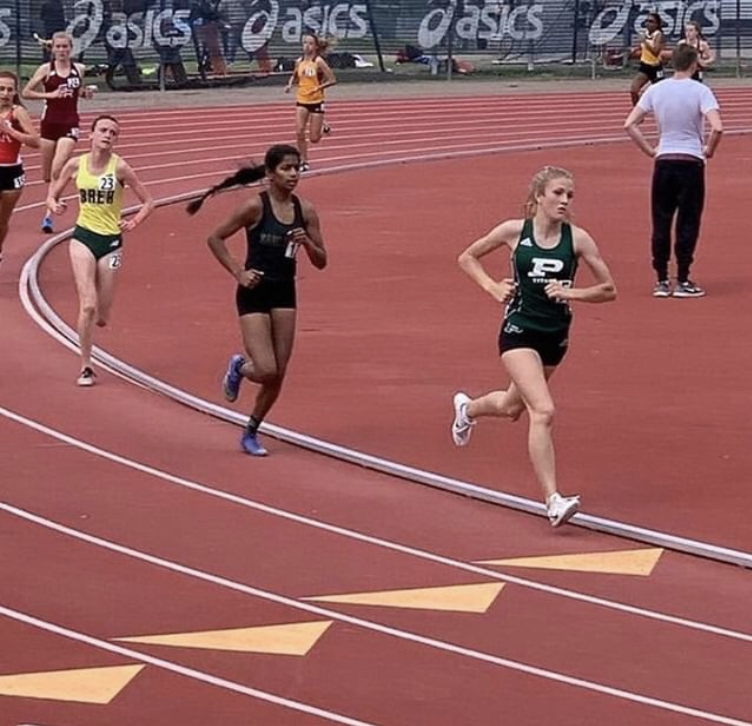 Lavanya Pandey runs in the 1600m at the Mt.Carmel track invite. The standards are high, but Lavanya never fails to give it her best alongside her competitors. 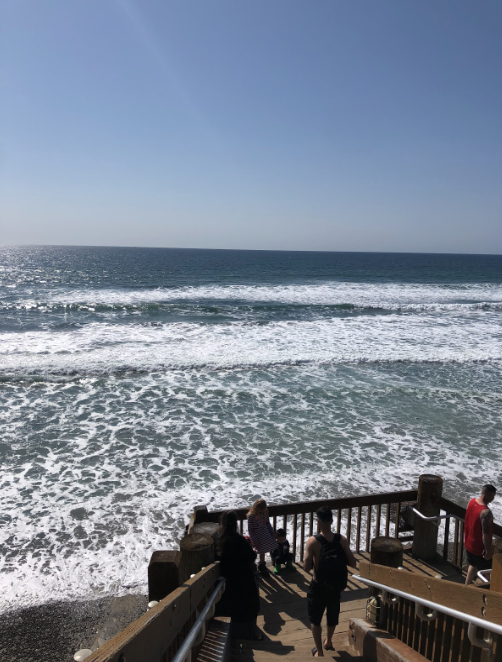 The waves reach between four to six feet high at Grandview Beach on this beautiful, sunny day in Encinitas. If you’re looking to surf on this fine day, Encinitas is the way to go, as Tamarack down to Oceanside only reach three to five feet high.